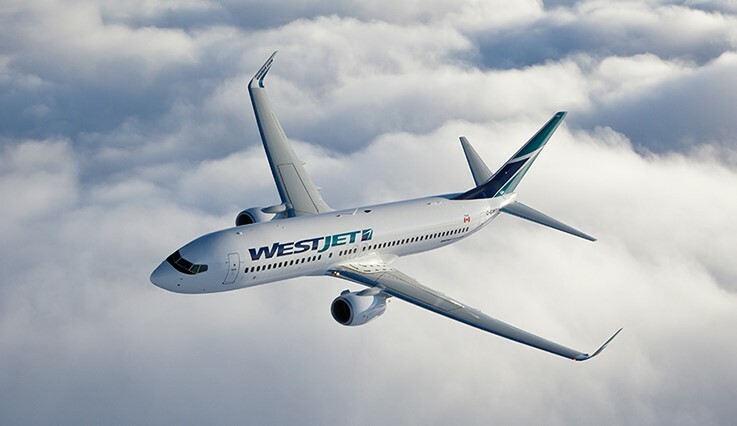 CUPE has filed an application at the Canada Industrial Relations Board (CIRB) to represent flight attendants at WestJet Encore. A majority of WestJet Encore flight attendants have signed cards supporting unionization with CUPE, after citing the need for better schedules and better opportunities for career advancement among their reasons for seeking to unionize. CUPE is thrilled to get to work improving the lives of Encore staff. Flight attendants have a tough job ensuring the safety of their passengers at 20,000 feet, along with challenging working conditions and often unpredictable schedules. But being part of a union makes a world of difference, as flight attendants at WestJet mainline can already attest. “Most definitely, my life is a lot better after joining CUPE,” said Kruti Sutaria, who is now the Secretary-Treasurer of CUPE Local 4070, representing WestJet mainline flight attendants. In July 2018, CUPE was certified to represent roughly 3,000 flight attendants at WestJet’s mainline carrier. CUPE is Canada’s flight attendant union, representing 15,000 flight attendants at ten different airlines nationwide. 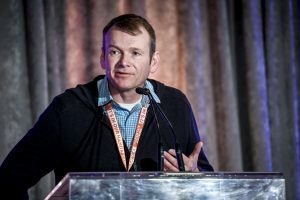 LETHBRIDGE, AB – Delegates at CUPE Alberta’s annual convention elected Rory Gill to be their new provincial president, Thursday, wrapping up the three-day event. “I’m very honoured that members elected me to further the mission of CUPE to protect workers’ rights, promote social justice and better our society,” said Gill, shortly after his acclamation. He replaces Marle Roberts, who retired after serving eight years as CUPE Alberta’s president. Gill worked in the public sector with the City of Calgary for over 20 years. He first joined the City as a seasonal parks labourer in 1997 and worked in several different capacities until he was promoted to foreman in the Parks Department in 2000. 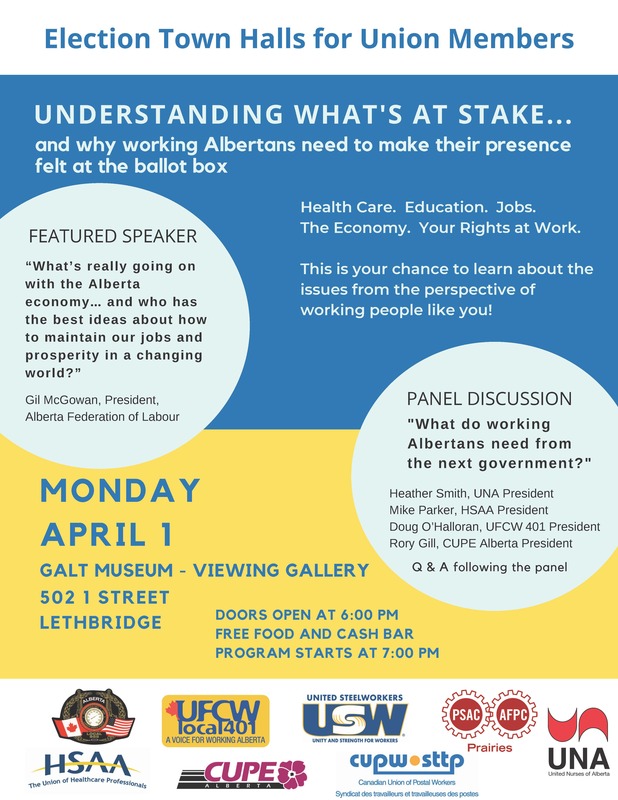 In 2006, Gill became active in his local, CUPE 709 – the Calgary Civic Foremen’s Union, where he served as a job steward. He went on to become a Trustee for the local in 2010, joined the local Executive in 2011, and was later elected as the local’s Vice-President in 2012 and then the President in 2014. 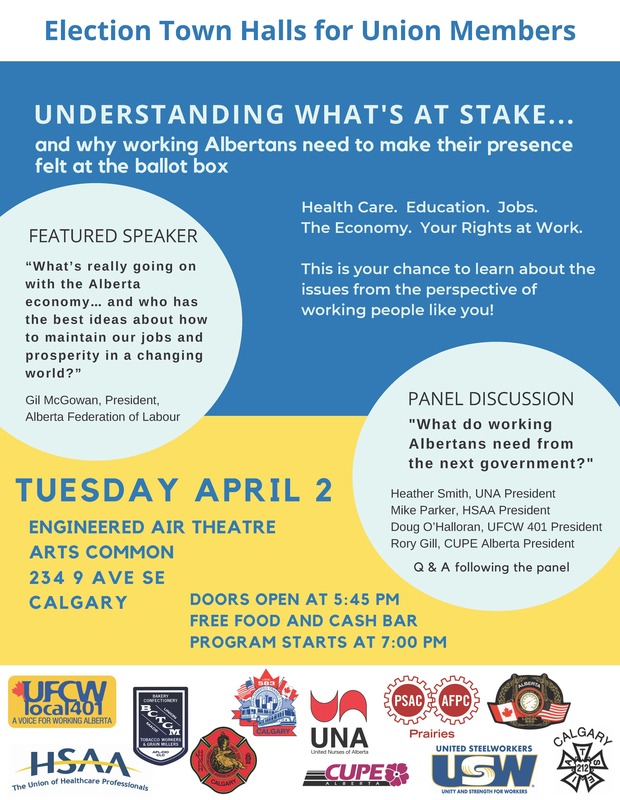 Rory has been active with CUPE Alberta Division and attended its conventions since 2011. In 2016, he was elected to the division’s Executive Committee as Calgary Area Vice President. 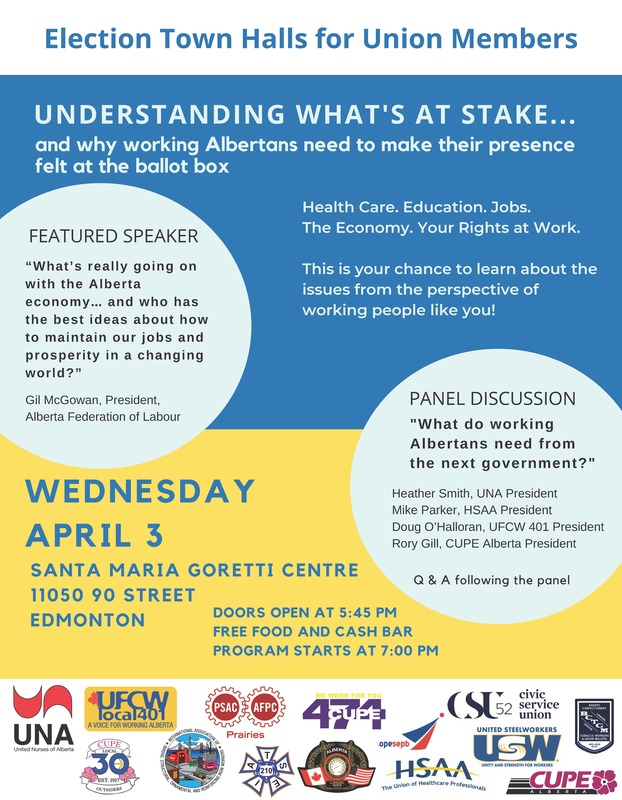 The following year, he was elected Southern General Vice President and served in that position until he was elected President of CUPE Alberta in March 2019. Gill is originally from Aberdeen, Scotland, though he primarily grew up in Calgary. He is the proud father of two sons. 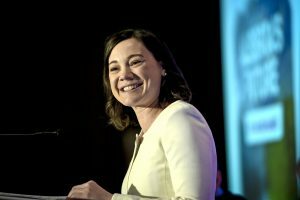 The work of reforming this province to serve every-day working Albertans has just begun, Environment Minister Shannon Phillips told CUPE Alberta convention delegates on Thursday. Phillips warned that the progress Alberta has made over the last four years could easily be undone by a UCP government—which is why it’s crucial we re-elect Premier Rachel Notley to a second term. 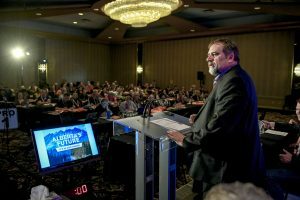 “We have our work cut out for us, nationwide and right here in Alberta,” CUPE National President Mark Hancock told convention delegates Sunday morning. 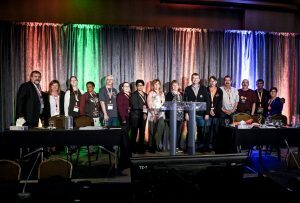 Hancock reminded delegates of all Alberta has achieved under Rachel Notley’s leadership, including building new schools and hiring new teachers and education assistants, introducing affordable child care, putting a price on carbon, and cutting child poverty in half. 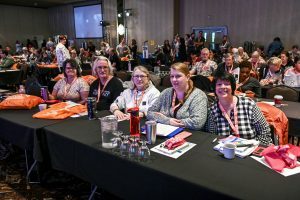 Click here to see photos from Alberta Convention 2019. 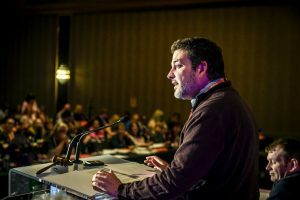 Alberta Federation of Labour President Gil McGowan spent the morning arming convention delegates with information to share with family, friends and neighbours during this election. 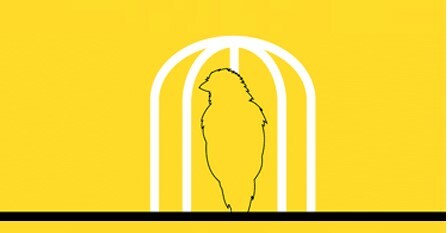 McGowan took members through Kenney’s falsehoods, shattering each one as he went. From blaming Alberta’s economic woes on Rachel Notley – when in fact oil prices have dropped in all jurisdictions, not just in Alberta, to declaring the $15 minimum wage a job killer in the face of overwhelming evidence to the contrary, McGowan underscored the importance of re-electing Rachel Notley and the NDP. Whether you work in schools, hospitals, social services or any other public service across Alberta, a growing number of CUPE members have something in common: violence in the workplace has affected them or one of their colleagues. 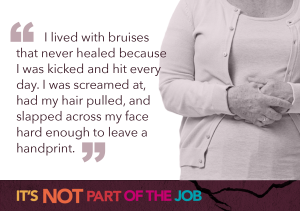 But violence should never be “just part of the job,” in public services or anywhere else. That’s why CUPE Alberta’s Equality and Justice Committee is launching its new anti-violence campaign at the 2019 CUPE Alberta Convention in Lethbridge.